This well established practice has been in operation in its present location for more than 40 years, but many leaseholds have been updated over the last decade. The practice has 3 fully equipped operatories and various administrative areas. There are currently 1,100+ active patients and the owner has built a very strong sustainable hygiene program with a stable revenue stream. 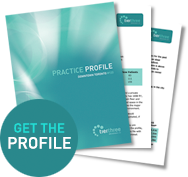 The cost structure of the practice is extremely low resulting in far greater cash flow than the average practice. The practice has been run with hours which will allow a dentist to balance personal life commitments with professional opportunity and the vendor is prepared to transition on a part-time basis for 2 years. Practice viewings will be scheduled by appointment only, after interested parties have reviewed the full practice appraisal.